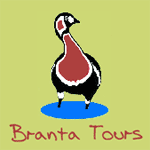 On 11 November 2013, a small delegation from Bed & Birding comprising Pavel Simeonov (Branta Lodge, Bulgaria) and Paul and Natasha Goriup (Salix, Ukraine) visited Complex Cormoran in the Romanian part of the Danube Delta. 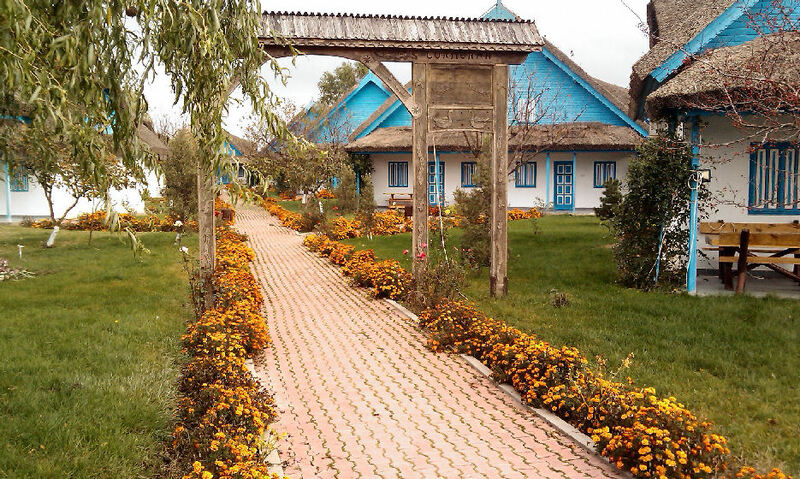 The hotel is situated at Uzlina on the left bank of the large meander in the Sfintu Gheorghe branch, near Murighiol. 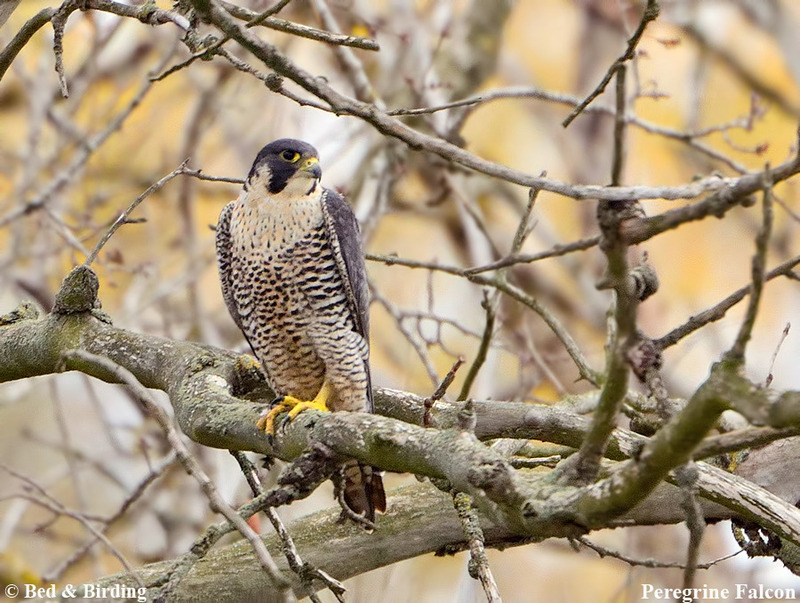 It is reached by a short boat ride, during which we had excellent views of a peregrine perched in a riverside poplar tree. Our charming hostess was Ioana Voinea, manager of the hotel facilities. These feature a main building with bar and restuarant, 10 pretty chalets and a large summer dining hall. The whole site is very well laid out, with excellent opportunities for birding - indeed we spotted a sea eagle sitting on a high tree not far away as we walked around. Cormoran currently welcomes many birders and already caters for most of their needs. Chalets at Cormoran - perfect for birders! After enjoying a traditional lunch featuring Danube river fish, we were very happy to sign a partnership contract and welcome Complex Cormoran into the Bed & Birding family. We now have lodges all around the western side of the Black Sea! Further details will soon appear on our web site.